Choosing the best baitcasting reel for saltwater is a tough challenge, especially for beginners. In order to save you time, we created a list of 10 high-quality baitcasters, all under $100 that deserve your attention. 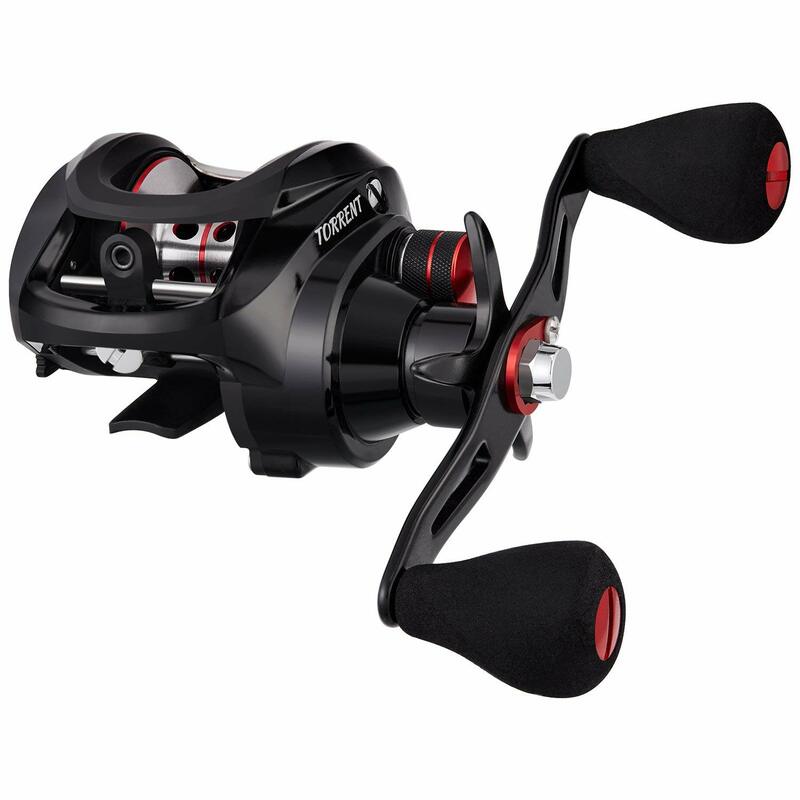 Each selection includes a detailed product description, technical specs, intended type of fishing, pros, and cons. 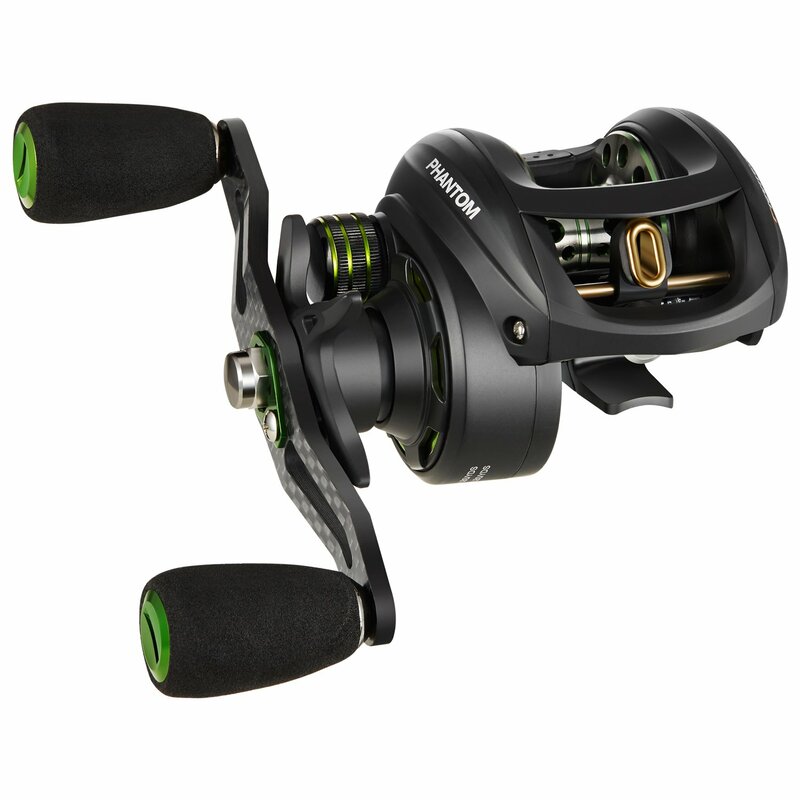 We analyze tons of customer reviews and warn you about the reels ‘potential flaws. In the second part of the article, you will find a guide with essential features to consider before purchasing a baitcaster. If you want to skip directly to the main recommendation, look at the end of the article, where we announce our favorite product that gives you the best fishing experience. The KastKing Spartacus Maximum Baitcaster is designed specifically for a salty environment. 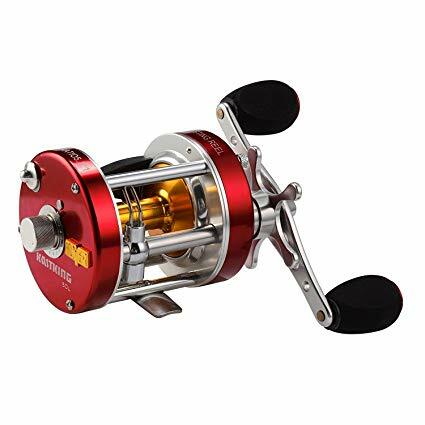 Moreover, this low profile reel offers many features for big game fishing. This model has an impressive 25 lb. carbon fiber drag. The drag pressure allows you to handle giant catfish or other big sea species. The frame is made from a durable aluminum alloy and will not break due to the fish’s weight. Thanks to 11+1 ball gearings, its operation is silky smooth. The ball bearings are shielded against water invasion. The gear ratio is 6.3:1, which is a versatile number for different types of fishing. A professional-grade centrifugal braking system prevents backlashes. The manufacturer offers a 30-day trial and a one-year warranty. The manufacturer claims that brass gears are noise free, however, in some reviews people complained about occasional squeaking after several months of use. To prevent this noise, you may apply drop of anti-corrosion oil on the gears. 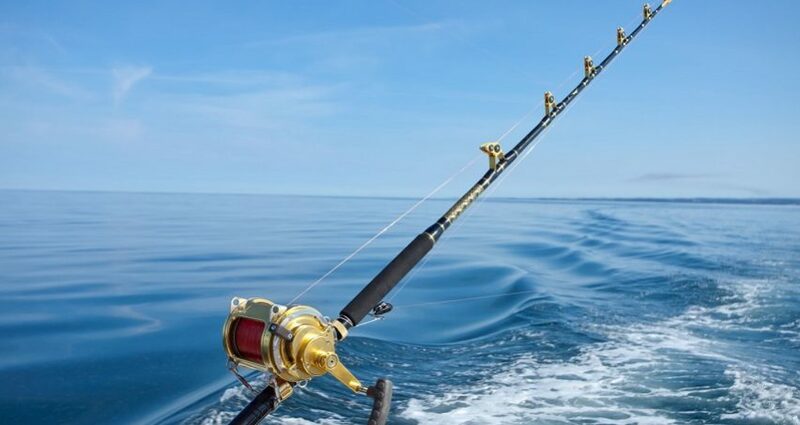 Do not forget to rinse the reel with fresh water each time you fish in a salty environment. The baitcaster offers a 7.0:1 gear ratio, which means that a single turn of the handle will spin the spoon seven times. The long-distance casting is smooth and accurate. According to reviews, anglers are completely satisfied with the speed control and braking system performance. As for the braking, it is dual system, both magnetic and centrifugal. Thanks to the 17 lb. gear power, big game fishing feels like a breeze. One of the key features of this model is an aircraft grade hard-anodized main gear made from aluminum alloy. Usually, such high-quality gears are only found in more expensive models. The reel is covered by a one-year limited warranty. There is a 30 day money back trial. In the reviews, many people shared their experiences using this model for Largemouth and Salmon jigging. Everybody thinks that performance is excellent. However, in some reviews, people report that it is not easy to handle the fish heavier than 25 lbs. The gear system is efficient, but it requires some skills. When fishing big game, it may not be easy-to-operate. Due to its excellent gear stopping power and durable frame the KastKing Spartacus Reel is the right pick for bottom fishing. This model is a feature-rich professional reel, but the price is surprisingly affordable. The low profile reel offers a 25 lb. carbon fiber drag to handle big and fast-moving prey. The 6.3:1 gear ratio provides accurate operation. The frame and body are made from non-flexible aluminum alloy, which is sturdy enough to handle heavyweight fish. All mechanics are protected from corrosion. The shielded ball bearing is stainless steel, a feature required when fishing in a salty environment. The casting distance is long enough to reach fish species that live on the bottom of the water. The adjustable brake system is both magnetic and centrifugal. No matter what fishing technique you are using, the brakes will protect you from the backlashes. There is a 30 day trial period i, and a limited one-year warranty. In the reviews, accomplished angler’s advise setting the internal centrifugal brake before casting. By the manufacturer’s settings, it is preset at 0. Novices, who try to cast with default settings, complain about large birds ‘nests of tangled line. For long-distance smooth casting, the optimal parameters are 3-4 for the centrifugal brake and 9 for magnetic. The baitcaster is versatile and can be used for fishing any species. Thanks to the anti-twist line roller which prevents line tangles and snarls, this model is also great for beginners. The KastKing Sharky III Baitcaster has a smart design that can stand up against water invasion. The reel body has an anti-slip cover, so it can be easily handled, even with wet hands. The spoon, rotor, and body are water-resistant. In addition, the reel has an excellent 39 lb. drag that allows you to go after saltwater monster fish. 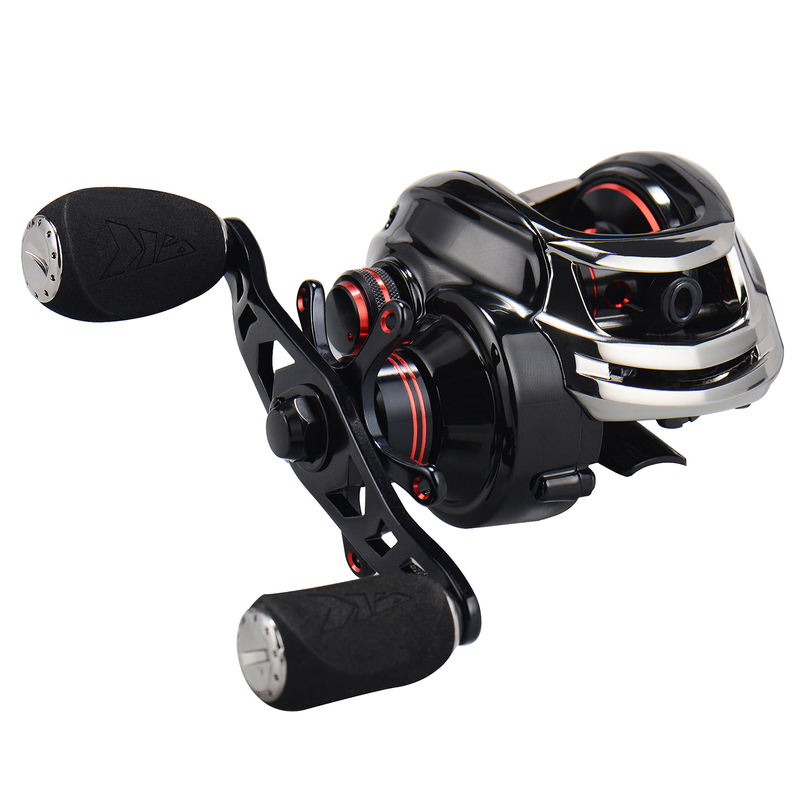 The 10+1 double shielded ball bearing provides smooth casting. The hardware is full-metal and protected from corrosion. Theluminum handle is responsive and easy-to-control. The reel is noise-free and there have been no complaints regarding any noticeable creaking. According to the reviews, anglers are deeply satisfied with the baitcaster’s smooth rotation and smart anti-reverse system. However, in several comments, people complained about handle stopping and incorrect line laying. These problems may be connected to gear malfunction. The KastKing offers 30-day trial to give you a taste of this reel and a one-year warranty against manufacturer defects like the one mentioned. Every detail of the KastKing Rover Round Baitcaster is designed with the anglers’ needs in mind. This reel is ideal for trout trolling or for going after other strong and fast-running species. All mechanical parts of this model are durable and protected against salt water damage. The spoon and anodized side plates are made from high-grade aluminum. It has a professional-grade, heavy-duty carbon fiber drag system. With the 20 lb. gear power, you can easily handle big fish. Due to the built-in bait clicker, your next trophy fish won’t pull the rod out of the rod holder once you have it on the hook. According to the reviews, the casting is accurate and effortless. The smooth operation is provided by 6+1 shielded ball bearings. This baitcaster is backed by a limited one-year warranty and has a risk free 30-day trial. In the reviews, several novices mentioned that after many hours of fishing they felt neck fatigue and even back pain. This is rather surprising because this reel was created with weight-reducing features. We believe that the reason for their fatigue may be lack of training. Accomplished anglers are perfectly happy with the weight of the reel (1.2 lb.) and leave many positive comments about the design. The KastKing Sharky Baitfeeder III has features that you typically find in more expensive models. 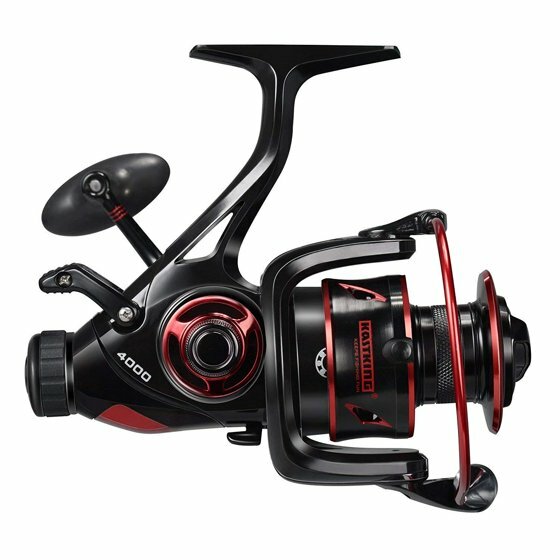 This versatile reel may be the right choice for beginners and for those who want to get fishing experience without making a big investment. 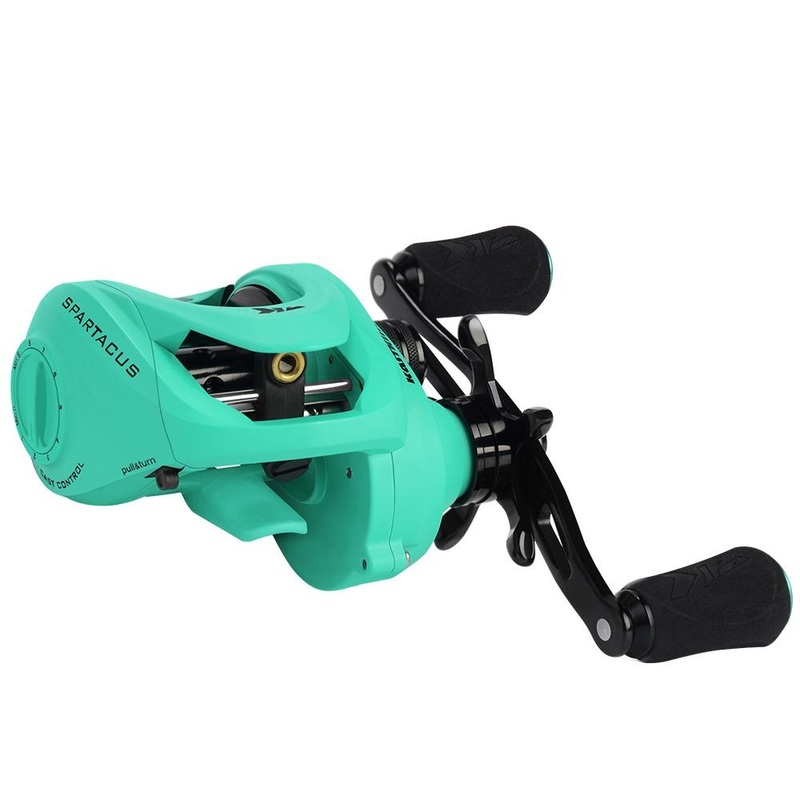 The baitscaster has a powerful gear ratio that allows you to use less effort when turning the handle. The drag power is 25 lbs., however, due to construction drawbacks; we do not recommend this model for big game fishing. The operation is flawless and smooth, thanks to 10+1 steel ball bearings. All mechanics are protected from saltwater and have anti-corrosion cover. This baitcaster is covered by a one-year limited warranty and has a 30-day trial period. In the reviews, we found negative comments about the flimsy reel stem. This stem can be flexed or even broken by a big fish. If you want to go after salmon, tuna or catfish, you might want to choose another model. The weight of this baitcaster is 1.5 lbs. If you are a beginner, without prep it may be difficult to use this baitcasterfor long-hour fishing session. Novices, especially elders, after several hours, felt back and neck fatigue, which can become painful the day after fishing. Be careful, or choose a model with a lighter weight. The Piscifun low profile reel is heavy-duty and durable. It features a side-plate oil port for lubrication, which is necessary for long-life mechanics. Another advantage of this model is Japanese Hami cut 3604 reinforced gear that has industrial-grade strength and climate resistance. The gear power is 18 lbs. so you can go after big fish with confidence. According to the reviews, the magnetic brake system performs great and prevents backlashes. Due to a 7.1:1 gear ratio, anglers are not tired from turning the handle when landing their trophy fish. The extended handle (4-1/3 inches) increases the leverage and adds more power to your pressure. With proper maintenance, this reel can be used for many years. The oil for lubricating the mechanical parts is not included in the package. In the reviews, some anglers say that for proper operation they had to replace the ball bearings. The bearings from the manufacturer were not high-quality stainless steel, yet have water-resistant shields. Usually, baitcasters are covered by a one-year limited warranty. The One Bass Conventional Saltwater Reel has a three-year warranty against any manufacturer’s defects. In the reviews, anglers say that customer service is amazing and beginner-friendly. If the quality of your reel will not make you happy, you can replace it without exhausting procedures. This round profile reel offers everything you need to make fishing a breeze. The 45 lb. multi-disk drag system helps to hold your trophy fish. The 14+1 stainless steel ball bearing makes for smooth operation. According to the reviews, this model is perfect for multi-species fishing, especially when the weather is windy. The casting is perfect under any conditions. In the reviews, beginners mentioned that it was not easy to use the braking system. However, there are no complaints about the reel performance. The Royale Legend is a typical example of a smart-designed, yet affordable low profile reel. The difference between this model and the previous ones is its easy-to-handle features. This reel is great for ice fishing or fishing in an unfriendly environment. The baitcaster is approved for saltwater, it is water-resistant and durable. The reel has stainless steel handles that are easy to grab even in the rain or snow. Thanks to 7.0:1 brass gear ratio, the handle turns quickly. Non-slip EVA padded foam grips help to remove moisture. The gear power is 17.5 lbs. ; this is enough to hold massive fish. The dual magnetic and centrifugal braking system successfully prevents backlashes. The 11+1 ball bearings are protected from corrosion. They make the operation smooth and the reel feels responsive. This model is considerably heavy (7 oz. ), yet no reviews complained of back tiredness. Analyzing the reviews, we saw several complaints about gear squeaking. Sometimes the noise appears after several seasons of use, and sometimes – immediately. The test period is 30 days, so if you find some flaws, you can take advantage of a replacement. If creaking starts after the trial period has ended, add some oil on the gears. The Pascifun Phantom X has three different gear ratios (5.3:1, 6.3:1 and 7.6:1) and comes in three color variations, each for a different ratio. This model makes an excellent gift for multi-species anglers. With the Pascifun Phantom X centrifugal brake system, you can effortlessly avoid backlashes. The tension control is beginner-friendly. In the reviews, users say that with the tension knob it is easy to control the line. The spoon is made from aircraft-grade aluminum; it starts and accelerates more quickly. Even if you catch a massive trophy fish; the retrieval will be smooth thanks to 7+1 double shielded ball bearings. 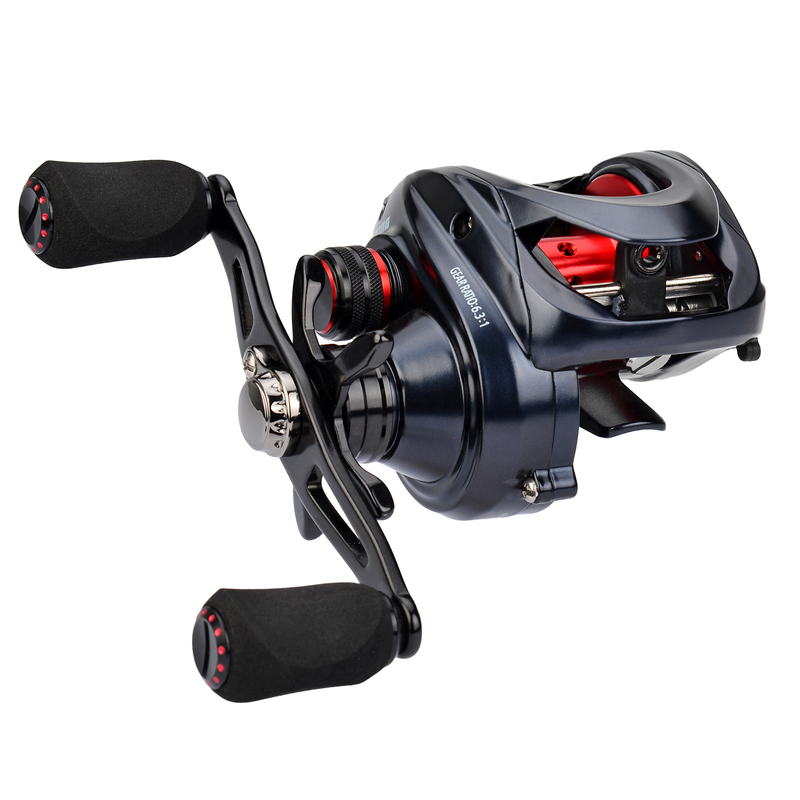 The low profile reel is lightweight (6.9 oz.) and super compact. In the reviews, beginners often say that they don’t understand how to remove side panels in order to clean the inner parts. They pressed, pushed and tried to turn them, but the result is hard to archive. Other reviews complained about an occasional lack of tension which leads to backlashes. The tension settings don’t always work correctly. Most professional fishermen use both baitcasting and spinning reels, but for different styles of fishing. Spinners are known for their easy operability, which is handy when you are fishing with a less than 8 lb. thin line test. The bait can be live or made of soft plastic, but it should be lightweight. There is no drag restriction in the spinner, so the line freely flows off the spoon. 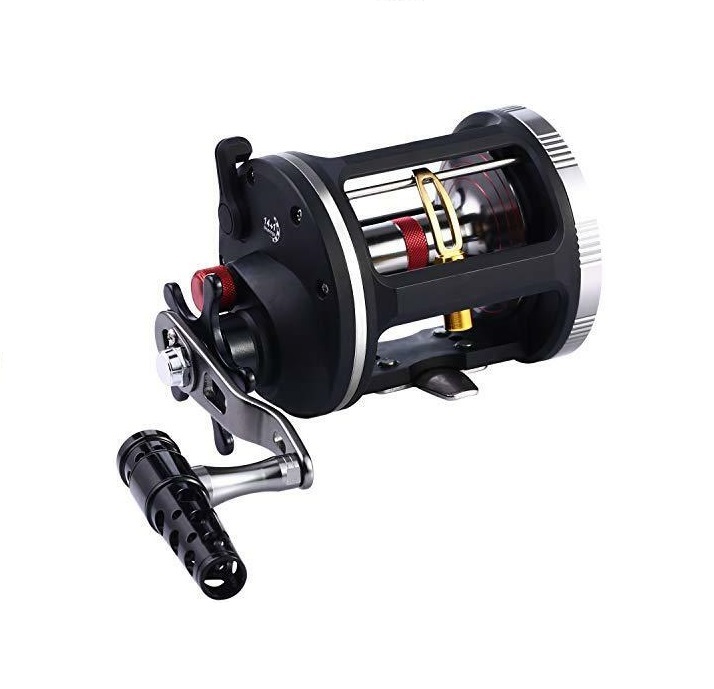 This reel is a good choice for beginners or for fishing in the shallows. Baitcasters are famous for their accuracy, especially with heavy baits like jigs. They go perfect with a10 pound test line or more. Drag resistance will help you handle bigger fish. With baitcaster you need to use a rod with a trigger grip and guides on the top. You can use all three types of line: braid, fluorocarbon, and monofilament. Due to its construction, operating a baitcaster requires advanced fishing skills. Novices often can’t put their thumb in the right position, so the line tangles and creates a backlash bird’s nest. More practice will help to solve the problem. Baitcasting reels made especially for saltwater feature sealed bearings and anti-corrosion steel construction. A-class salt-water reels can cost a couple hundred dollars. Some anglers, who don’t feel the need to invest such a considerable amount of money, use fresh-water reels for sea trout, redfish and fluke without a hitch. In salty environments, they use ordinary fresh-water reels and feel no noticeable difference. They prolong the reel’s life by applying anti-corrosion oil on the bearings and other metal parts. After fishing, they rinse rods and reels with freshwater and refresh the lubrication. Low profile baitcasters are widely popular for bass fishing, especially for Largemouth. Such reels are lightweight and feature a durable frame shell from composites for keeping down the weight. Round baitcasters can hold more line. That’s why they are used to tackle species that make long runs. For example, salmon, trout, steelhead, and tuna. Most of the round baitcasters have built-in brakes; otherwise, you will use your thumb to stop the spoon. They are also heavier and bulkier than low profile models. Some anglers claim that they like to use both types of baitcasters for bass fishing. The choice is based mostly on personal preference, not technical specs. When it comes to mechanical parts, especially gears, pay attention to the material quality. Usually, gears are made of lightweight alloys like duralumin, which contains aluminum and copper. We do not recommend buying reels with plastic gears. The gear ratio is the number of spoon spins or revolutions during one turn of the handle. The average number is 5.5:1; this means that one handle turn gives you 5.5 spoon spins. The high gear ratio is above 7:1, the low is below 3:1. The gears have different sizes so you can adjust the speed by switching between them. For slow reeling with torque you should choose the lower gear ratio, for adding speed you can use a higher ratio. Bearings reduce friction between the gears and give you a smoother cast. Along with the quality, the number of bearings also matters. 15 makes the operation smoother than 5. To prevent water invasion, ball bearings should be sealed. For smooth operation, spoon tension should match with the weight of the bait. Right tension allows you to control the line and avoid bird’s nests. Adjust the tension with a spoon knob after tying the lyre. To regulate the tension use a spoon knob, which you can find near the cranking handle. Some models have a knob with the clicker, which makes setting the tension easier. Start when you are ready to cast. The braking system is a must-have feature that prevents backlashes. Backlash happens when the spoon is spinning faster than the lure leaves the reel. Windy weather often causes such problems. 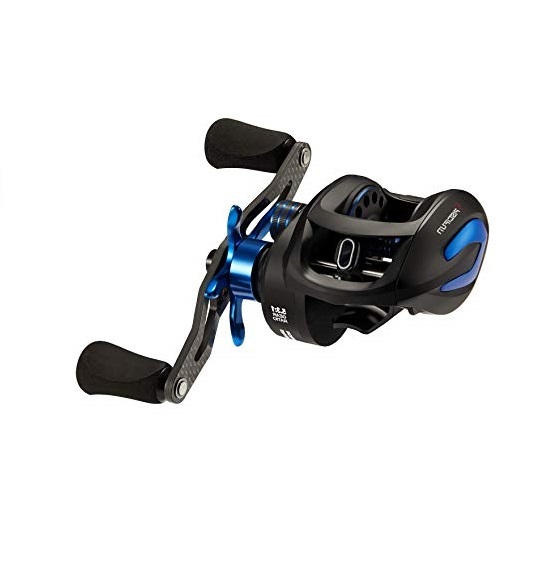 Baitcasters feature magnetic or centrifugal brakes, sometimes both. A centrifugal system is more adjustable than magnetic but costs more. The dual system is the best option. 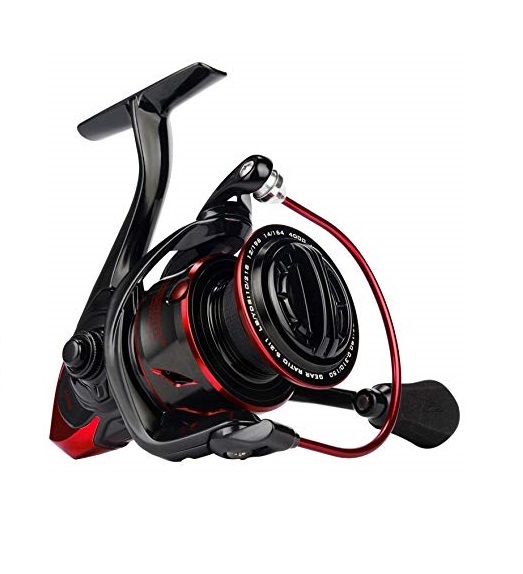 The optimal reel weight is less than 1.5 lbs., the lighter – the better. All models from our list are lightweight and handy. Reel frames made from aluminum are the most durable but expensive. Alloy or graphite frames are also good for ordinary fishing. Their price is more affordable. Our personal choice is The KastKing Spartacus Maximum Baitcaster, because this reel makes more anglers happy than the other nine models. There are no negative comments about its quality of performance. The only complaint that people have is that after several seasons of use there is gear squeaking which disappears after lubrication. No matter what your fishing style is, if you want a durable, high-quality baitcaster, you must take a closer look at The KastKing Spartacus Maximum. My name is Tom and I have 30-years personal experience in hunting and fishing. Also, I've spent 9 years consulting customers in a tackle shop on Cape Cod, and I'm ready to reveal all the professional secrets. Whether you ambush your pray in the middle of the forest, or landing a monster fish you can use a piece of my advice. 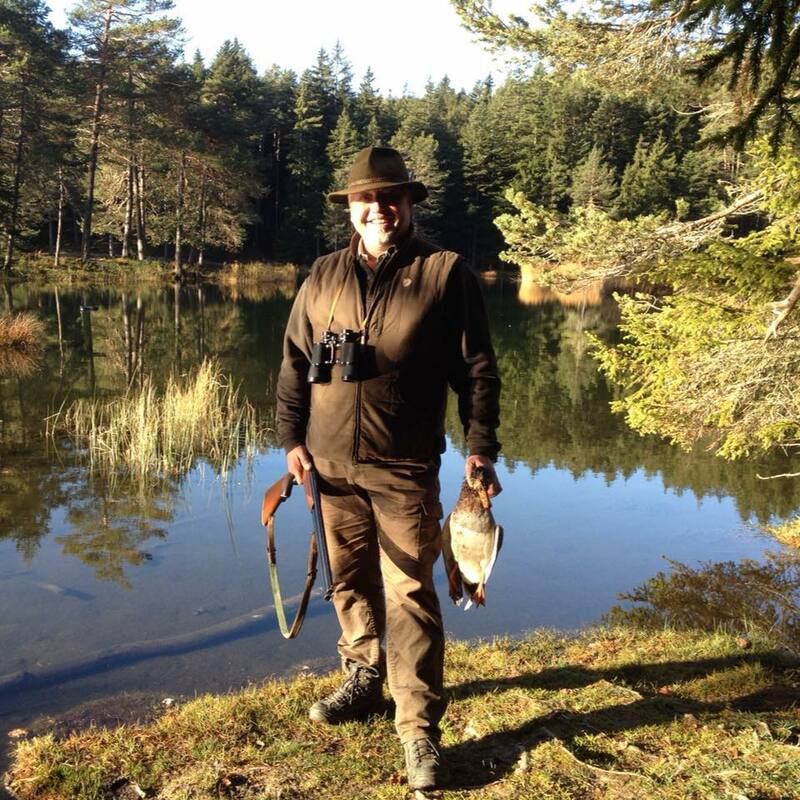 I regularly go on fishing and hunting tours across the USA and abroad and I'm always delighted to try a new place, new species or a new hunting style. On Hunting Fishing Plus you will find my tips for hunters and fishermen.